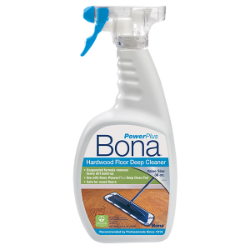 Bona PowerPlus Hardwood Floor Deep Cleaner and the Bona Premium Microfiber Mop are all you need for safe, residue free everyday cleaning and beautiful, healthy floors. It left my floors looking fantastic. A little goes a long way on the type of flooring I have. I would recommend to a friend. 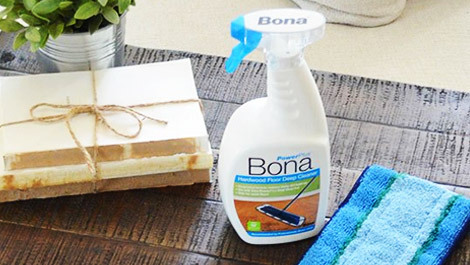 This cleaner is gentle yet effective on my hardwood floors. I use regularly and highly recommend! 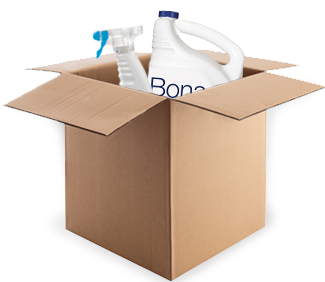 So easy to use and it does not leave a residue like some other cleaners. The cleaner will last you for a long time as you don't have to to use that much. Great cleaner for all your floor cleaning needs! Solution loosens tough, heavy build-up. Bubbling action helps lift away stubborn debris. You inspired Bona PowerPlus. Let us inspire you! 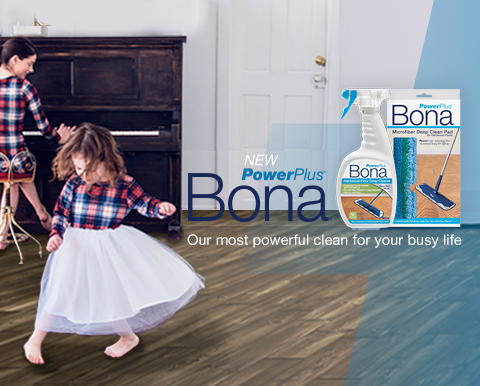 Discover new ideas to keep your home beautiful at the Bona PowerPlus Pinterest Page. 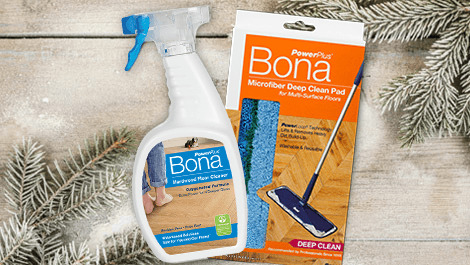 For even more impressive results, try Bona PowerPlus with the Bona PowerPlus Microfiber Deep Clean Pad. The pad’s Power Loop Technology gently breaks apart and loosens tough dirt. Together they perform 70% better than other hardwood floor cleaners on the market. Give your home a deep clean like never before! Perfect for getting ready for the holidays or winter cleaning. Winter weather can be tough on wood floors. To help make winter cleaning for winter debris, excess moisture, and humidity changes easier, check out these helpful winter floor care tips. 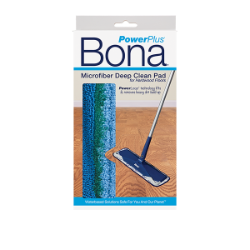 Bona PowerPlus with the Bona PowerPlus Microfiber Deep Clean Pads' Power Loop Technology gently breaks apart and loosens tough dirt. Together they perform 70% better than other hardwood floor cleaners on the market. 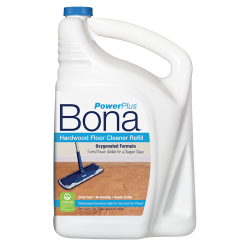 Bona’s PowerPlus® Line can be found at thousands of locations nationwide.